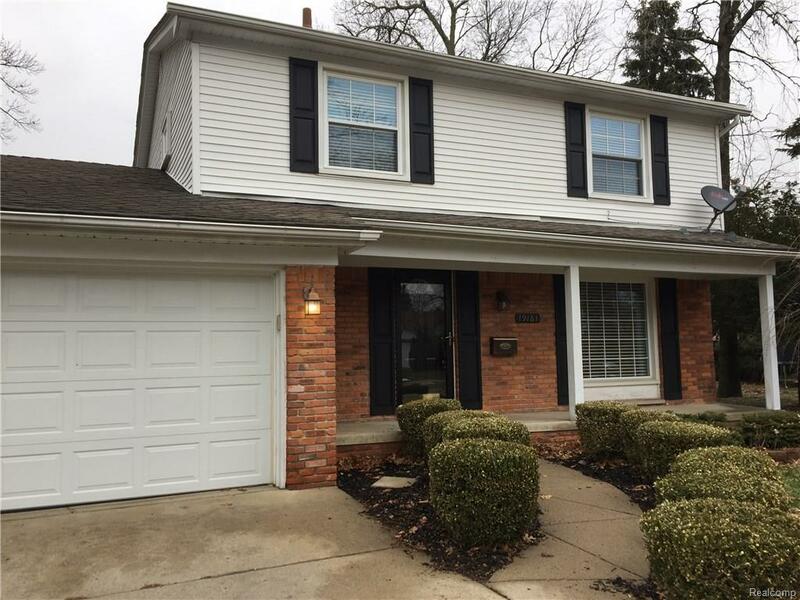 Beautifully updated, super clean, 4 bedroom colonial in Riverview Forest. Gorgeous wood floors and newer windows with blinds throughout. Kitchen has been updated with laminate floors, granite-like counter tops, lots of storage space and all stainless steel appliances are staying! Large family room has gas fireplace and doorwall that leads out to one of the largest backyards in the neighborhood. Enjoy summer evenings on the newer stamped concrete patio! All bedrooms have freshly finished hard wood floors and plenty of closet space. Furnace is only 4 years old, hwt newer also. Up to code! Seller has C of O! Home sits in quiet court and is walking distance to school and Young Patriots Park. Security system in place but not currently activated. SELLERS TO REPAIR DRIVEWAY CONCRETE WHEN WEATHER BREAKS. PLEASE NOTE, TAXES ARE NOT HOMESTEADED!